﻿﻿As the parent or guardian of a music student, you are an automatic member of the CHS Music Parents group. How active you'd like that membership to be is up to you. As an experienced active member, we encourage you to get involved as much as you can in this unique experience with your student(s). We work hard to encourage and support the Music Faculty and students to sustain a premium quality music program at Canterbury High School, and are currently recruiting volunteers to make this next school year a great success! 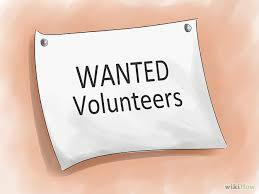 If you are interested in getting involved in a big or small way, please register with us by filling out this Communication/Volunteer Form and/or contact us for more information about current opportunities. The Volunteer sign up for Music Night will be online approximately three weeks prior to music night. If you sign up early for a volunteer shift, you will have the opportunity to buy advance seating tickets for Music Night. Please note that each family can only book a maximum of 5 tickets per music night in advance, regardless if two or more family members volunteer. Sign up information, and links to sign-up, on each Event Page.